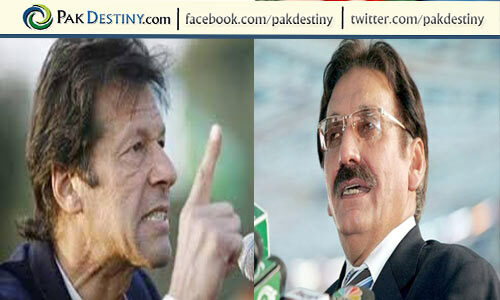 Islamabad, Jan 31 (www.pakdestiny.com) Some officials want their boss Admirnal (R) Fasih Bokhari to face Supreme Court Chief Justice Iftikhar Chaudhry ‘bravely’ in contempt of court proceedings against him. “A subordinate (Bokhari) has explained his professional difficulties before his boss (President Zardari) and it should have been taken as a routine matter. But the SC has made it a matter of “life and death,” says an official, saying Havens would not fall on such a petty matter. He said it would be a test case for Mr Bokhari either to seek apology or face it courtageously. “We want Mr Bokhari not to give in the SC pressure as he has done offensive,” he said. It is an open secret that there is no love lost between the judiciary and the executive, and given the opportunity both kept on hitting out at each other. On Thursday’s hearing of the rental power projects implementation case, the SC issued a show-cause notice for contempt of court to the Admirnal over the letter sent by him to President Zardari. The court has summoned the bureau’s chairman to appear before it on Feb 4. 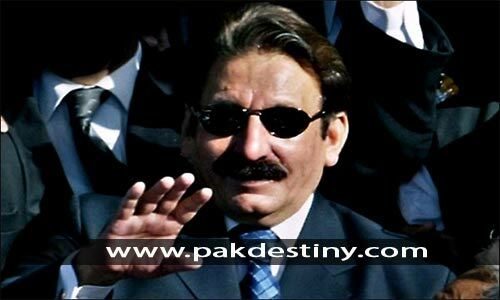 A three-judge bench of the apex court, headed by Chief Justice Iftikhar Muhammad Chaudhry, has been hearing the case pertaining to the implementation of its March 2012 ruling in the RPP case. During the proceedings, Chief Justice Iftikhar had inquired NAB prosecutor general K K Agha over the letter sent by the bureau’s chairman to President Zardari. Earlier during the hearing, Agha had read out the letter sent by the bureau’s chairman to President Zardari. Addressing Agha, Chief Justice Iftikhar inquired as to why such a letter was written and asked for the prosecutor general’s advice on the matter as a lawyer. Bokhari, in a hard-hitting letter addressed to his appointing authority, the president, has cast serious doubts over the role of the Supreme Court which he said “could be seen as pre-poll rigging”. The letter dated Jan 27 and dispatched from the chairman’s home address in Chak Shahzad Farms, Park Road, was released to the media on Monday. NAB spokesman Zafar Iqbal confirmed the contents of the letter which he said had been formally delivered to the president’s secretariat. The NAB chief is the second government official, after Election Commission Secretary Ishtiak Ahmad Khan, within a year, who has expressed his inability to perform his official duties due to constant meddling by the apex court in the affairs of his organisation and offered to resign. In March last year, Mr Khan, in his resignation letter, though without naming the court, pointed finger at the Supreme Court for not allowing him to prepare electoral rolls and carry out other work of the Election Commission. The NAB chairman updated the president on the bureau’s role in recovering Rs25 billion and keeping a close eye on current procurements and projects of Rs1.5 trillion for possible corruption in the opening paragraph of the letter, and then straightway hit out at the apex court for its role to affect the ongoing political process in the country. He said that at this critical juncture when all political players and the military had a broad-based consensus on free and fair elections, the position of the SC was unclear. “I am constrained to observe and bring to your notice that the position of the honourable Supreme Court on this issue remains clouded by actions that are bearing heavily on my mandate to strictly abide by the NAB Ordinance in both letter and spirit, as the time for elections approaches”. He said there was a clear line for the recognised authority of the court to monitor NAB investigations to the limited extent of ensuring fair probes. However, as election neared, the SC had increasingly involved itself in guiding specific investigations allegedly involving politicians, he said. A major portion of the two-page letter is about how the superior judiciary through its notices and verbal and written orders has undermined the bureau’s constitutional position. Referring to a recent court order to arrest Prime Minister Raja Pervez Ashraf in the rental power projects case without due completion of the investigation process by the bureau, Admiral Bokhari said: “This could be construed as a clear violation of the powers of the chairman, NAB, and to some degree circumventing the NAB Ordinance which I am required by law to follow. The NAB Ordinance in my view, as it remains law passed by parliament, represents the will of the people and as such I am bound to follow it. The National Accountability Ordinance mandates that no reference can be filed until I have been allowed to exercise my mind and decide that a clear case of criminality has been made out.” He said he would be failing in his statutory duty if he would shirk from upholding the law that he was mandated to protect. In the concluding paragraph of the letter, the chairman criticised the SC for deviating from its original role as an appellate and constitutional court that, according to him, had resulted in a huge number of pending cases. He said the court, instead of taking suo motu notices of human rights violations for which the government had established the ombudsmen’s offices, had taken on the government. In the absence of timely justice, people were forced to take the law into their own hands and eventually the government had to face their anger, he said. “The essence of law is to provide a moral benchmark to society. The benchmark is sadly being lost by a judiciary that may be fast losing its own moral authority by relying on the contempt law, media, street power of lawyers and unchecked violations of the Supreme Court judges’ code of conduct,” the letter continued. In the last lines, the NAB chairman, clearly referring to some remarks made by the chief justice about the RPP case, said: “For the well-being of our people, justice must be ensured, while protecting them from those who would callously allow ‘the heavens to fall’, a sentence CJ Chaudhry often utters. 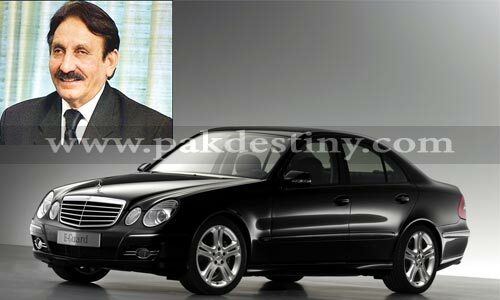 Why CJ Iftikhar reluctant to take action against Faisal Abidi, Is he afraid of him because of his son’s corruption? yes he should face firmely if he is right.